eated in his dark tower, Klingsor summons Kundry and instructs her to seduce Parsifal, whom he has seen approaching in his magic mirror. Kundry resists in vain, since the magician knows how to control her through the curse. She disappears and the scene changes to a magic garden, in which the Flower Maidens bloom. They attempt to seduce Parsifal, who plays with them, until the appearance of Kundry, transformed into a beautiful siren. She awakens his memories of childhood and of his mother. His resistance apparently broken, she offers him a passionate kiss. o her amazement, the youth recoils in horror. At last he understands the nature both of Amfortas' suffering and his own mission. Kundry tries to win him through pity for her, accursed since she laughed at the suffering of Christ. In desperation she calls for help from Klingsor, who appears on the rampart and hurls the spear at Parsifal. he spear stops in the air, suspended over Parsifal's head. 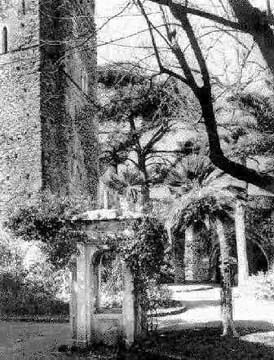 He grasps it and makes the sign of the cross, at which Klingsor's tower crumbles and the garden withers. You will know where to find me again , he tells Kundry as he walks away.